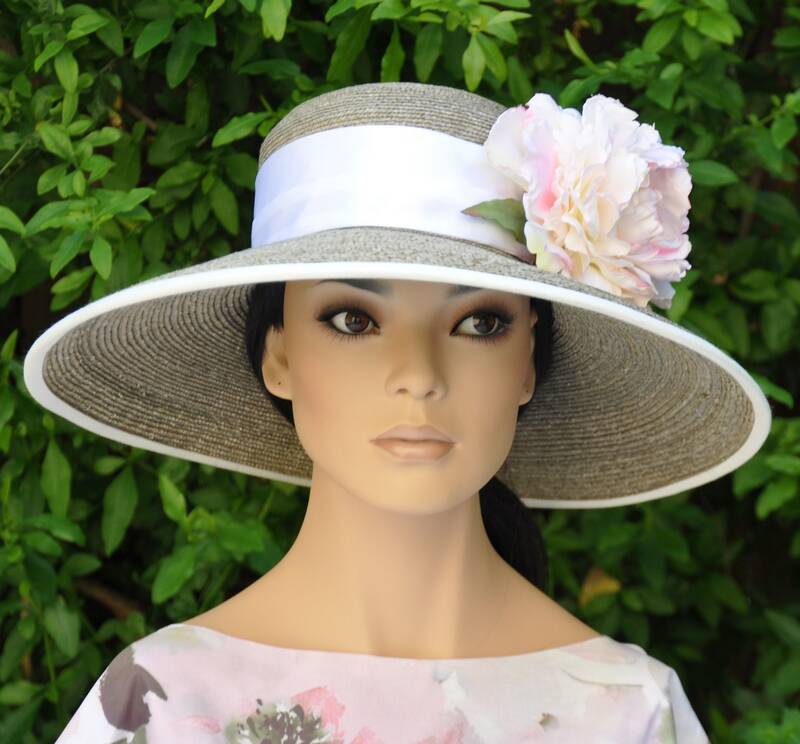 Head measurement Medium 22" Large 22.5" Extra large 23"
This classic taupe gray wide brim hat will keep it's shape and completely block the sun. 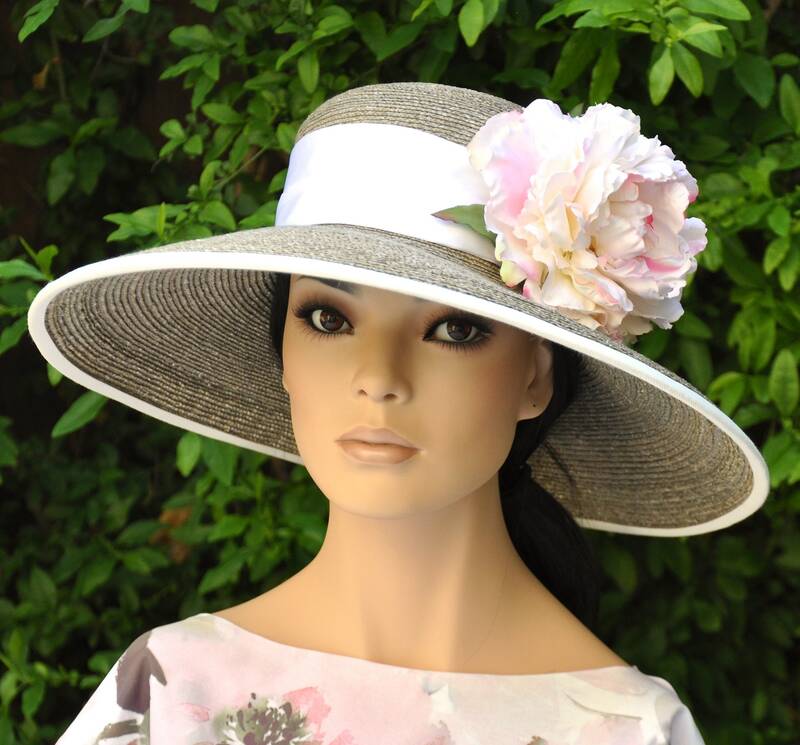 The blush pink flower is the most fashionable color of pink this season, The trim is true white. 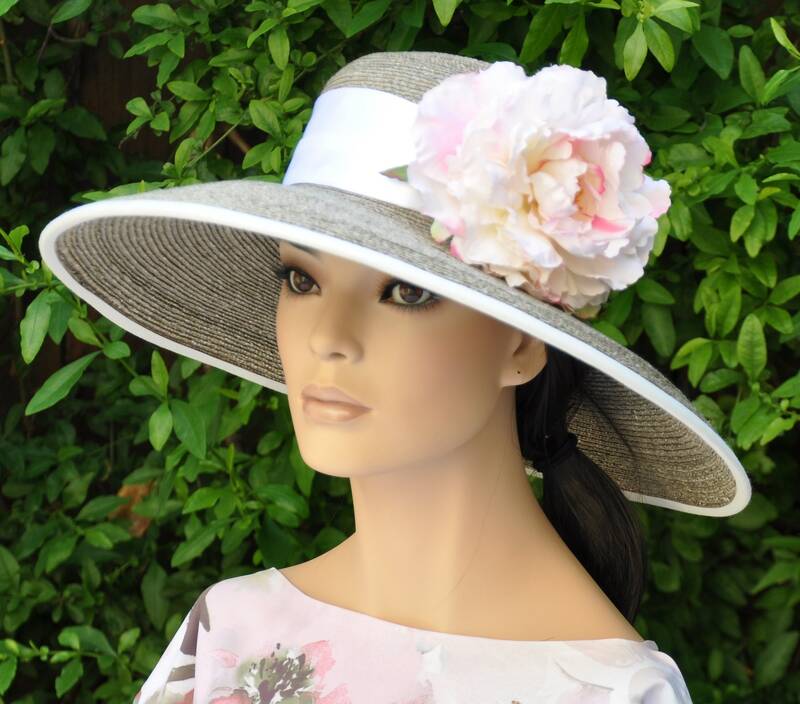 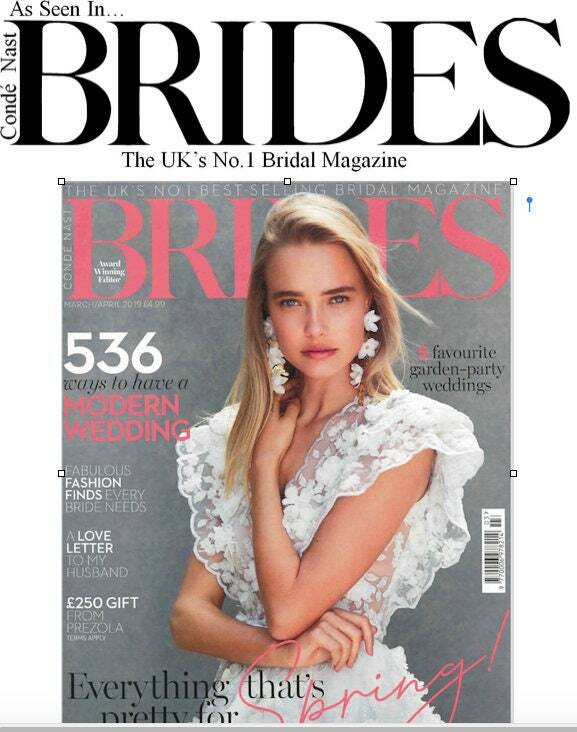 Lovely for a garden party, Ascot, the Derby or a wedding. 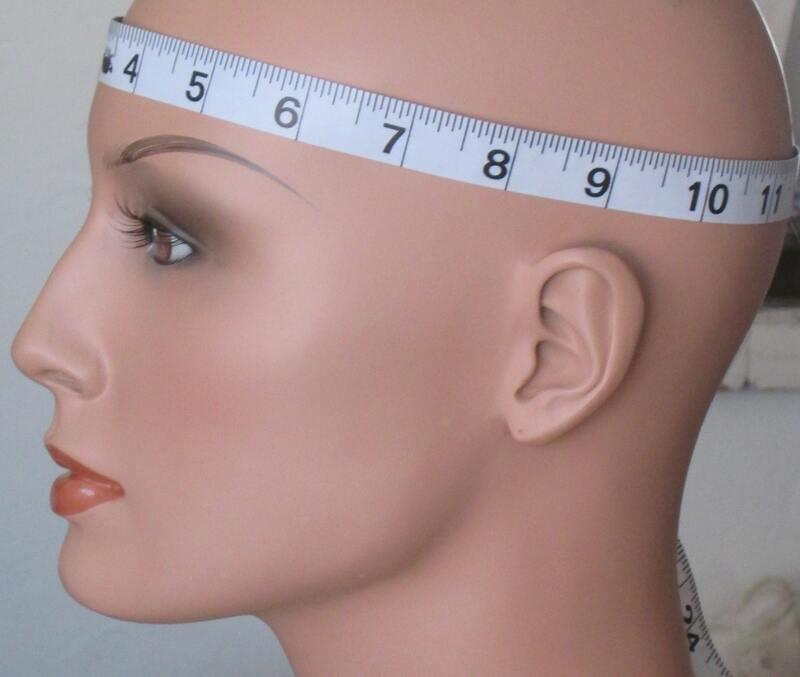 Measure 1/4" above your era and around where a hat would rest snugly and I'll custom make this hat to fit you.